Through an initiative called Youth 21, UN-HABITAT tries to position itself as the leading agency on youth issues within the UN. A ten-week publicity show was meant to give one of three suggested scenarios both momentum and credibility. Valid concerns about the acceptance, suitability or representativity of the suggested instruments fall by the wayside. We suggest some alternatives to the silo mentality of the scenarios put forward by Youth 21. Two developments currently dominate the discourse within and about the United Nations and its attempt to better align its work in the youth sector. The second of these two developments is the initiative of UN-HABITAT dubbed Youth 21, an attempt “to build an architecture for youth engagement” in the United Nations. The initiative kicked off with a planning meeting in December 2011 (report, pdf), which was used to note the inadequacy of the Inter-Agency Network for Youth Development (IANYD) to “fully realize […] meaningful participation by and focus on youth in the UN.” (statement from the Youth 21 planning meeting, pdf, p. 2). At the beginning of 2012, UN-HABITAT published a document entitled “Youth 21: Building an Architecture for Youth Engagement in the UN System” (pdf), suggesting three scenarios to strengthen youth participation in the UN. The document was followed by four weeks of online debates from mid-January to mid-February about these scenarios, hosted at globalyouthdesk.org. A stakeholder meeting in Nairobi in March 2012, convened by UN-HABITAT and UNDP with financial support from Norway, concluded the ten-week-long phase of hasty public(ity) action. The “Youth 21: Building an Architecture for Youth Engagement in the UN System” (pdf) document published at the beginning of 2012 suggested three scenarios to strengthen youth engagement in the UN. Scenario (1) – scale up the United Nations Programme on Youth (UNPY), which currently is the focal point within the UN Secretariat on issues related to youth, to include youth engagement by expanding the programme’s mandate and budget. Scenario (2) – appoint a Special Representative of the Secretary General on Youth, which Ban Ki-Moon did announce on January 25 – interestingly, surprising many – with the actual appointment of a person pending to date. Scenario (3) – establish a UN Permanent Forum on Youth, A Youth Platform Assembly, and a Special Representative on Youth, three mechanisms meant to be reinforcing which could, and likely would have to, be implemented incrementally. While the document lists a few challenges for each scenario, for the most-wanted third scenario these challenges are exclusively related to its implementation. No consideration is given to doubts or concerns, not in the document, and not in the Youth 21 initiative the document serves. None of the three instruments – the UN Permant Forum on Youth, the Youth Platform Assembly or the UN Special Representative on Youth – addresses the real dilemma of the UN: that more than 30 agencies, programmes, funds, offices, organisations, framework and initiatives work on youth issues and compete for attention, influence and funding, and do so at the expense of impact, significance and cogency. A UN Permant Forum on Youth would likely become a silo on youth issues in the United Nations, with every youth-related question being pushed onto its agenda for discussion and consideration without any real consequences. Youth issues would become marginalised. Young people would not be involved in the various decision-making processes within the agencies and programmes, because youth engagement would become mainstreamed through the forum – which would then be little less but a tokenistic structure. Youth issues could be treated holistically within the Forum, but would be increasingly ignored at operational level. The permanent forum would likely be constructed similar to the United Nations Permanent Forum on Indigenous Issues (UNPFII) with 16 members, half appointed by member states and half nominated by youth organisations, with its mandate restricting it to an advisory function. How much would it really strengthen youth engagement in the UN? What impact would and could it really have on the situation of young people across the globe, directly or indirectly? The World Urban Youth Assembly is hosted by UN-HABITAT as an integral part of the World Urban Forum – and UN-HABITAT also published the three scenarios. 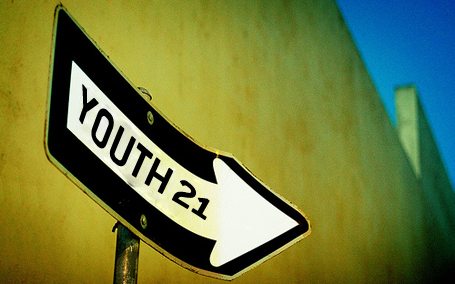 When looking closely enough, Youth 21 seems to reveal itself as little else but a hasty attempt of a few people to position one of the various UN agencies working on youth, and themselves, in the ongoing struggle for influence, power, positions and funding. Valid concerns about the acceptance, suitability or representativity of such instruments fall by the wayside. We are about to create even more structures that are completely divorced from the young people they are meant to engage and represent. Why don’t we discuss some alternatives? How about an independent, co-managed Global Youth Agency, financed by voluntary contributions from governments, foundations and organisations? How about an independent youth audit of the United Nations system, investigating how effective the various programmes and approaches actually are? How about an NGO-driven youth monitoring group, reporting independentally and critically on the activities of the various agencies and programmes? How about an independent grass-roots global youth assembly once every five years instead of five global youth events by individual UN agencies every single year? How about a task-force, developing a coherent approach to cover youth issues in the Universal Periodic Reviews of the human rights records of member states? How about shadow reports, uncovering and unraveling what the United Nations, the World Bank, the Monetary Fund and others are doing – and not doing! – for, on and with young people? These are our six alternatives to the silo mentality of the scenarios put forward in the context of Youth 21.